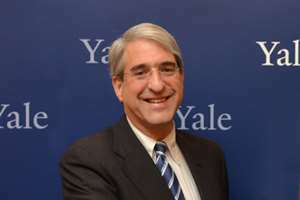 The Yale University, President Peter Salovey will make his inaugural official visit to Africa with a 6-day trip to Ghana and Kenya on the 10th of March 2018. The Initiative promotes African scholarship, contemporary discourse, and research at Yale and in Africa. It aims to strengthen Yale’s relationships with African institutions, increases career opportunities for Yale students across Africa, while attracting the best and the brightest African scholars to Yale. This initiative has led to greater partnerships with various African governments, universities and individuals collaboratively tackling some of the most pressing challenges facing the continent ranging from health equity, environmental management, to economic development. The resulting research, training programs and bilateral learning are a cornerstone of the effort. Over his 6-day visit, President Salovey and his team will convene conversations and meetings linked to this initiative. They will also be renewing partnerships and exploring new avenues to strengthen existing relationships. Events in Ghana will include a Yale Leadership Forum bringing together alumni of various Yale constituents such as the Senior African Women’s Leaders network, a group of prominent women in government; the Yale World Fellows, and other notable alumni. The forum will explore the question of strengthening leadership pipelines to foster greater inclusion and enable positive impact in society. Yale University will also be renewing their longstanding partnership with the Noguchi Memorial Institute for Medical Research at the University of Ghana, and the Fox International Fellowship. In Kenya they will be convening a symposium on Power of Partnership in Strengthening University Research. It will be co-hosted with the African Academy of Sciences. On the back of this symposium will be the reaffirmation of strong links to entities such as the Kenya Medical Research Institute (KEMRI), the National Museums of Kenya, The Kenyan Agricultural Research Organization (KALRO), the Mara Conservancy and others. They will also co-host a town hall on “Leadership and Impact” with Strathmore University as they welcome Strathmore Business School to the Global Network for Advanced Management the first network member from the East Africa region.